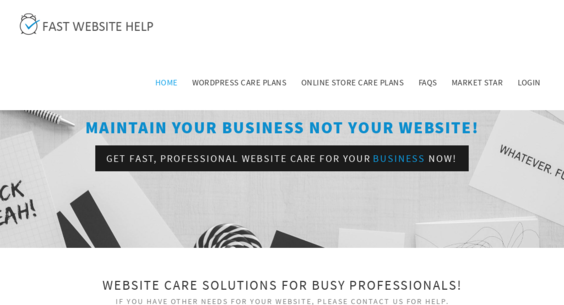 fastwebsitehelp.com — Website Listed on Flippa: Maintain Your Business Not Your Website! Maintain Your Business Not Your Website! This website is a fully developed website maintenance service business complete with content marketing & social media accounts. It is built using Ruby on Rails & uses Stripe for payment processing.